This application will act a a proxy between your X32 and client devices. It allows for an unlimited number of devices to connect to and receive real-time events from the X32. This increases the total number of clients from the current limit of 4. /meters and /xremote requests will be multiplexed through a single request channel. This application will result in all input/output of the X32 to pass through a central point, allowing the potential for extended applications including logging, filtering, monitoring, and optimizing. Edit the xml configuration file to your preferences. The application will output the repeater address on the console. 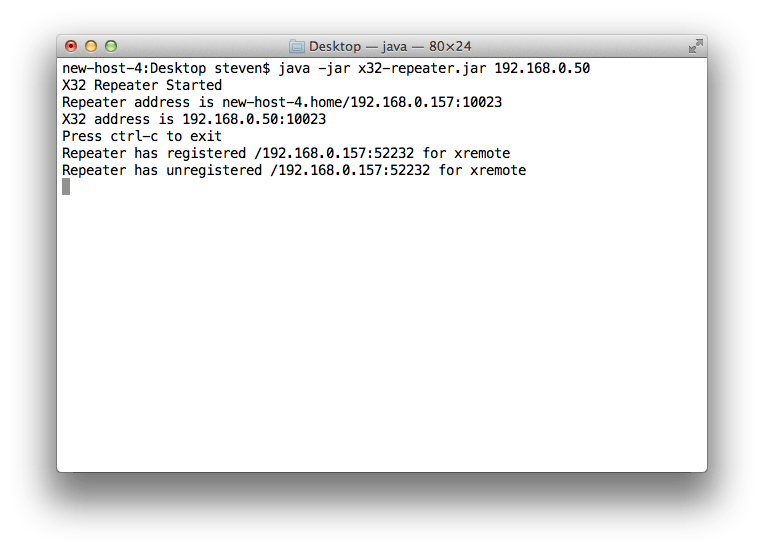 Connect your devices to the repeater instead of the X32. added meter modes (see config file for details) to handle different ways to forward and return meter requests with parameters.